Curious monkey business…Is that you, George? There was a bit of monkey business at LaGuardia Airport Tuesday. Spirit Airlines found it had an unexpected passenger on board a flight, and the stowaway [a monkey] was so small, it hid under a hat. Officials say the animal flew from Peru to Fort Lauderdale before landing at LaGuardia this afternoon. August 7, 2007 Posted by oldstersview | animals	| Comments Off on Curious monkey business…Is that you, George? Curious if true, Remember the diaries? Newspapers have today reported on the discovery of what is believed to be Hitler’s record collection in the attic of former Soviet intelligence officer, Lev Besymenski. A Captain in the Soviet army, he kept quiet throughout his lifetime, but following his death at age 86 the records, along with a document explaining their origin, have now come to light. August 7, 2007 Posted by oldstersview | Strange	| Comments Off on Curious if true, Remember the diaries? A giant, smiling Lego man has been fished out of the sea in the Dutch resort of Zandvoort. Workers at a drinks stall rescued the 2.5-metre tall model, which had a yellow head and blue torso. Stall workers set it up near the stall…and I have no idea what the “No real than you are” on its’ chest means. A Serbian farmer has been allowed to take his prize bull to prison with him after an emotional appeal to jail bosses. Hamdija Djuric, 54, from Novi Sad was sentenced to a year in prison for assault after he hit another man during an argument in a local bar. But judges ruled he could take his one-and-a-half ton bull Micko with him after lawyers argued that if the farmer went to jail the bull would have to be slaughtered. They said there was no one to look after him and that the animal was too valuable to the farmer to be put down. Micko will be kept in a specially converted cell on the ground floor at the prison. If both are well behaved they should be free by Christmas. This may sound a little strange to non-farmers but that bull contributes heavily to this man’s livelihood. That’s a good judge. 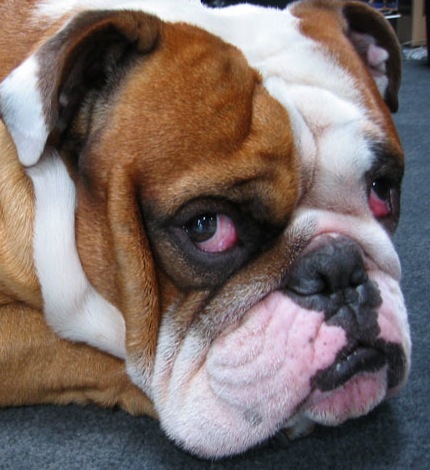 Some dogs, such as bulldogs and mastiffs, have such short snouts they have trouble containing their saliva and the leakage constantly pours out. [Dogs] with folded skin around their mouths, such as St. Bernards, bloodhounds and Bassett hounds, are also big drippers. In case you wondered why dogs drool. A teenager fell six stories from a hotel balcony but walked away with just bruises and scrapes. Matthew Savage, 17, was reaching up to a balcony one floor above to grab a bathing suit that had fluttered down from the 11th floor when he tumbled over the railing Friday. The teen, from Gainesville, Ga., hit other balconies on his way down and slammed onto a slanted rooftop, then slid into bushes. “I just closed my eyes,” Savage said, nursing scrapes and bruises on his back and legs. A university lecturer yesterday broke the world record for time spent on a rollercoaster – and is still going strong. At midnight yesterday, Richard Rodriguez, 48, beat the previous holder by clocking up nine days and 12 hours, reports the Daily Record. 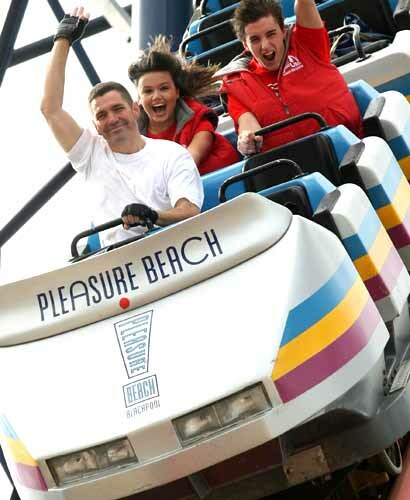 Richard has been riding Europe’s tallest rollercoaster – the 60mph Big One at Blackpool Pleasure Beach. Fat cats in Britain are beginning to suffer the same diseases as their owners. A growing number are having type 2 diabetes diagnosed, as obesity and lack of exercise take their toll. A pioneering study at the University of Edinburgh has found that one in every 230 cats in Britain is diabetic. Although there is no baseline for comparison, the evidence suggests that the rates of feline diabetes are rising rapidly. A study in America in the 1970s found only a fifth as many cases. Ooops! Were those your wife’s ashes? A woman in New York is in a spot of bother with her husband after accidentally selling the ashes of his first wife for 58 cents at a garage sale. Anita Lewis sold the ceramic turtle jar containing the ashes of Terrence Lewis’s first wife to a woman who planned to use it as a cookie jar, a local newspaper reported. Mrs. Lewis held the sale [on]…while her husband was asleep in the house. 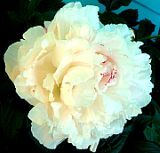 August 7, 2007 Posted by oldstersview | People, Strange	| Comments Off on Ooops! Were those your wife’s ashes?